Built-in shelf support tabs—no more lost clips! 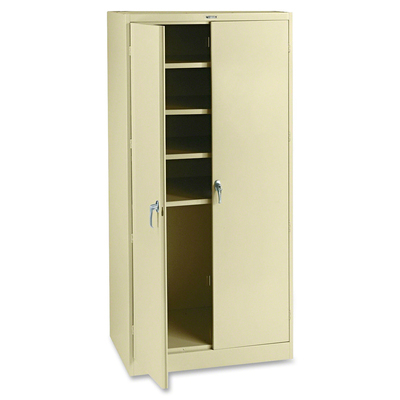 Heavy-duty construction ensures extreme durability. Adjustable leveling glides allow cabinet doors to hang squarely and close properly. Louvers on back promote circulation.